Today I spent a few hours signing Bogart’s first book in Old Naples, Florida. 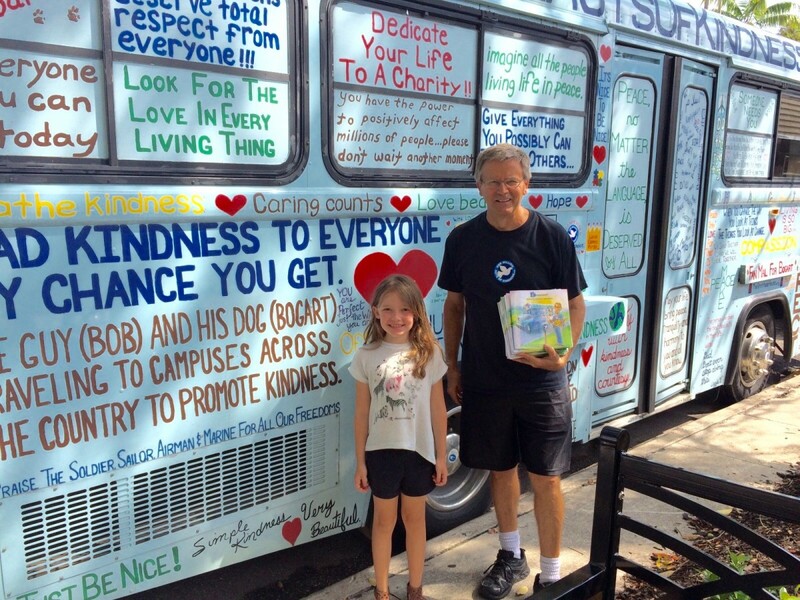 Emma, who was our first customer today, told her grandfather, who she was with, all about our visit to her school and having kindness as a goal. The crowds were a little bit slim today, however we still had 12 very happy customers, some of them decided that the books would make great Easter basket stuffers. This entry was posted on Saturday, March 26th, 2016 at 8:23 am	and is filed under Kindness. You can follow any responses to this entry through the RSS 2.0 feed. You can leave a response, or trackback from your own site.